Pope Benedict XVI has called for a political solution to the violence in Syria during his Christmas message, the Urbi et Orbi, in Vatican City. In front of thousands of pilgrims in St Peter’s Square, he called for all sides in the conflict to engage in dialogue. “I appeal for an end to the bloodshed and easier access for the relief of refugees and the displaced,” he said. In Bethlehem itself, Christmas Eve Mass was celebrated at the 1,700-year-old Church of the Nativity, on the spot where it is believed Jesus was born. The Urbi et Orbi, which means “to the city and the world”, is a customary part of Christmas for Roman Catholics. The Pope’s message this year focused on trouble spots around the world, particularly Syria. “May peace spring up for the people of Syria, deeply wounded and divided by a conflict that does not spare even the defenceless and reaps innocent victims,” he said. Activists say 40,000 have been killed in Syria since an anti-government uprising began early in 2011. The Pope also prayed for harmony in Nigeria, lamenting what he called “savage acts of terrorism” that frequently target Christians. And he urged China’s new leadership to respect the contribution of religion in creating a “fraternal society”. It is the first time the Pope has asked for blessings for the Chinese leadership in his Christmas message. Relations between Beijing and the Vatican are often strained over the Chinese government’s efforts to install clergy sympathetic to the Communist state. The Chinese authorities detained a Catholic bishop earlier this year after he refused to accept oversight from a state-run body. Relations between China and the Vatican reached a new low over that incident. 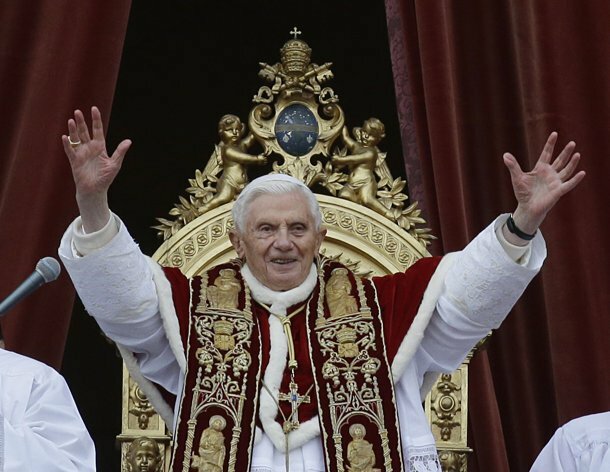 On Monday, Christmas Eve Mass in the Vatican, usually celebrated at midnight, was brought forward by two hours to avoid tiring the 85-year-old pontiff. At the Mass, he urged Christians to “find time and room for God in their fast-paced lives”.